According to my son, once a week they watch a 15-minute video that teaches them about a healthy food, followed by yoga moves that they do right in the classroom. It was through one of these videos that he learned about why he should consume Lycopene, which caused him to ask for it at home and order it at a restaurant, and now both of my boys are fans of grapefruit! I have since watched the Yogamedo video in question (and a few others) and I think the program is great. I hope the classes continue to watch these short videos. I anticipate that my son and other kids will continue to ask for other healthy foods they had never asked for before! I know the EATS monthly taste tests do the same as my kids have come home asking for bell peppers, honey, dates, and jicama since tasting them at school (in fact, we had red bell peppers, jicama and honey tonight!). As a witness to its impact, food education does make a difference on kids' food choices. I'm glad our schools open their arms to the monthly EATS taste tests and other programs like Yogamedo and hope they continue to do so! 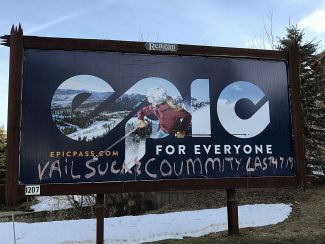 Recently there has been a lot of talk among the citizens and elected officials of Park City about what to do with the city-owned land. A major portion of this discussion has been around the senior population in Park City and where a Senior Center should be located. While I believe the seniors to be totally deserving of a center and place of their own, we have left out another, and much larger, segment of our population: teenagers. After all the sports and activities that we keep them busy with have finished, there is no place for teens to meet, see and be seen, or just hang out. Talk to the teens in this town and you will hear similar stories from all of them regarding what they do with their free time. Drive around a lot, looking for a place to hang out. Sometimes a house with no parents, other times they just wander around Newpark or Main Street. From one teen I spoke to : "usually we just drive around looking for a place to go until we find it or get bored and just go home and snapchat each other instead." We lament that our kids our glued to their phones, but we don't give them a place to congregate and actually socialize with one another outside of structured activities. Some have suggested that the Library could be a place for kids to gather, but with a closing time on the weekends as early as 5pm, that isn't really viable. Others have said what about the MARC, but that leaves out those without the money for a membership. They need a place from the hours of 4-11 pm that is safe and offers other services. The total unused Miner's Hospital comes to mind as a great place. When I was young, there were many private businesses that offered places for kids to hang out. The mall, the arcade, coffee shops, the roller rink: but with rents being as they are in Park City, you won't find many businesses welcoming teens with little to no money to come in and just hang out and socialize for hours on end. I believe it is time that the city looks at a community center with a teen area, or a center just for teens. Whether it is the vastly underutilized Miner's Hospital or even extended hours at the high school, our kids deserve a place of their own, where even those with no money in their pockets can find a safe place to land and have some time to be what they are: kids. In response to Ms Moore's letter in the Feb. 17 edition of The Park Record, I agree that parking rules should be enforced. However, the majority of the "No Parking" signs in front of homes in Old Town are illegal. The Park City Land Management Code, Title 12-7-1 prohibits the placement of signs in public places. Many of the parking restriction signs in Old Town are posted in the City owned right-of-way and this is considered a "prohibited sign." Interestingly, Title 12-16-1 states that a violation of this Title is a "Class C misdemeanor." Furthermore, the placement of these parking restricted signs on the homeowner property requires a permit. It is unlikely that a permit could ever be obtained for the purpose of a homeowner restricting parking on the city-owned street. In conclusion, the city should remove these illegal signs so that those with Old Town parking permits will not be intimidated by such. The people with permits have the right to park on the Old Town streets. Thank you, thank you, thank you! The Park City High School Beijing #4 High School Student Exchange has completed its 12th exchange in 23 years. Ii is truly an historic event — it is the longest continuing program of its kind in the diplomatic history of the People’s Republic of China and the U.S. The community of Park City has always enthusiastically supported this program from its inception in 1993. We could not carry on this exchange without the extraordinary generosity of the following: Identity Properties, Cole Sport, Deer Valley Resort, Vail Associates, Park City Municipal, Swire Coca Cola and others, including the 10 sets of parents of the Park City exchange students. The impact this exchange has on our students and those of Beijing is profound and quite frankly immeasurable. The community of Park City should feel extremely proud that their support has meant so much to so many. Our nation is at a critical juncture. Both the U.S. House and Senate just passed into the control of Republicans several years ago, and their primary focus has been to prevent President Obama from being able to implement any new initiatives or social reforms. The Republicans in Congress have voted over 50 times to repeal the ACA (that’s the Affordable Care Act, which has allowed millions of people to get health insurance, that in the past, were prevented from getting this important benefit), knowing full well that this childish maneuver would never accomplish the repeal of the Act, and have wasted hundreds of hours of time. Due to the Republicans total lack of respect for President Obama, their persistence to prevent any new legislation, and basically thwart any attempts by the President to improve basic human rights for millions of Americans (i.e. immigrants, gays, lesbians, etc. ); the citizens of our nation are now rebelling! A huge number of Americans now desire to have a non-politician take control of the executive branch of the federal government in the hopes that maybe the USA can once again implement new laws and social reforms. In addition, now the vacant Supreme Court seat needs to be filled ASAP! The Constitution states that the president is REQUIRED to nominate a replacement for a vacant Supreme Court seat, and the Republicans have already stated that they have "Many tricks up our sleeve" that they will use to prevent President Obama from filling the vacant seat. The Republicans’ petty games continue. There have been several presidents in the history of the USA, that in their final year in office have nominated and Congress approved, to fill an empty SCOTUS seat. If the Republicans play their games as they say this will, and prevent President Obama from filling this seat so that the next president can fill it; this will be the longest period of time in the history of the USA that there will be an empty Supreme Court seat. Hundreds of cases that have waited years to be argued before the SCOTUS, will be prevented from having their case heard by a full roster of Supreme Court judges, preventing proper justice for these Americans. It is now imperative that all legal US citizens go to the polls like never before this November and vote to get our nation’s government back on track; to elect people that will once again "Work for the people" and work to develop legislation that will HELP Americans and end this constant game playing. The USA has never needed good patriotic citizens as much as right now, to speak out and vote! Recently, my son, who is in Kindergarten at Jeremy Ranch Elementary School (JRES), asked me if grapefruit was the only fruit that contained Lycopene. I had no idea where that came from and, frankly, I had to look up the answer to his question. Then I remembered he ordered grapefruit juice for breakfast the previous morning when all the other kids ordered hot chocolate. He also asked my husband to buy pink grapefruit juice at the store that day. I posted my bewilderment on Facebook and the mystery was solved by Laura Tettlebach, the JRES EATS (Eat Awesome Things at School) School Champion. It turns out, several teachers at JRES are participating in a pilot program sponsored by EATS called Yogamedo (http://www.yogamedo.com). As a witness to its impact, food education does make a difference on kids’ food choices. I’m glad our schools open their arms to the monthly EATS taste tests and other programs like Yogamedo and hope they continue to do so! We lament that our kids our glued to their phones, but we don’t give them a place to congregate and actually socialize with one another outside of structured activities. Some have suggested that the Library could be a place for kids to gather, but with a closing time on the weekends as early as 5pm, that isn’t really viable. Others have said what about the MARC, but that leaves out those without the money for a membership. They need a place from the hours of 4-11 pm that is safe and offers other services. The total unused Miner’s Hospital comes to mind as a great place. When I was young, there were many private businesses that offered places for kids to hang out. The mall, the arcade, coffee shops, the roller rink: but with rents being as they are in Park City, you won’t find many businesses welcoming teens with little to no money to come in and just hang out and socialize for hours on end. I believe it is time that the city looks at a community center with a teen area, or a center just for teens. Whether it is the vastly underutilized Miner’s Hospital or even extended hours at the high school, our kids deserve a place of their own, where even those with no money in their pockets can find a safe place to land and have some time to be what they are: kids. 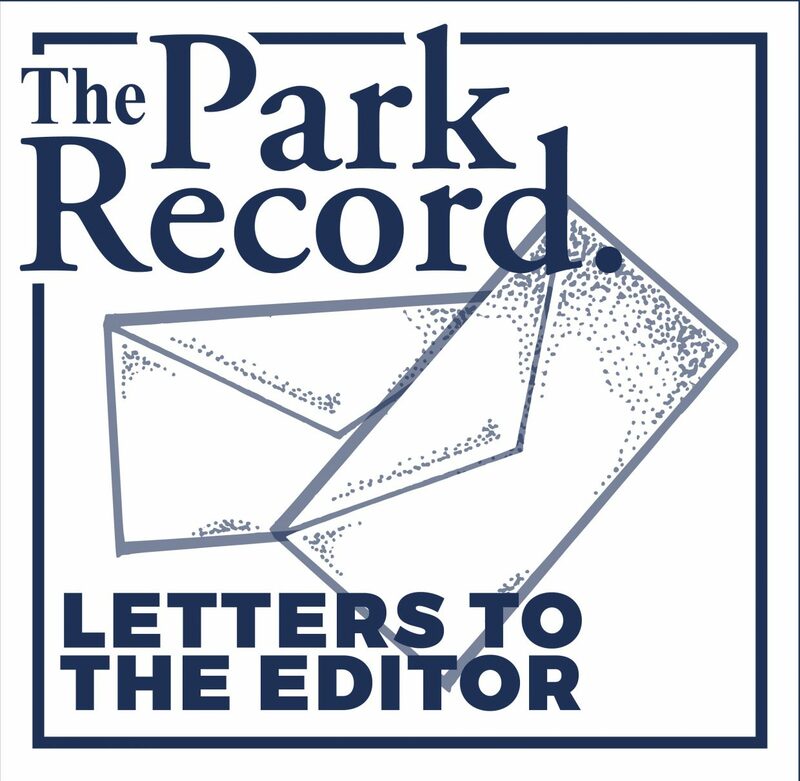 In response to Ms Moore’s letter in the Feb. 17 edition of The Park Record, I agree that parking rules should be enforced. However, the majority of the "No Parking" signs in front of homes in Old Town are illegal. The Park City Land Management Code, Title 12-7-1 prohibits the placement of signs in public places. Many of the parking restriction signs in Old Town are posted in the City owned right-of-way and this is considered a "prohibited sign." Interestingly, Title 12-16-1 states that a violation of this Title is a "Class C misdemeanor."